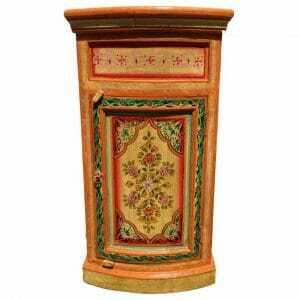 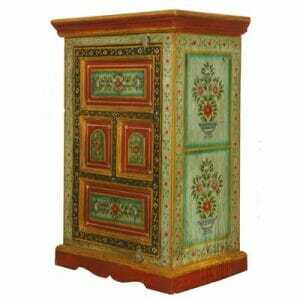 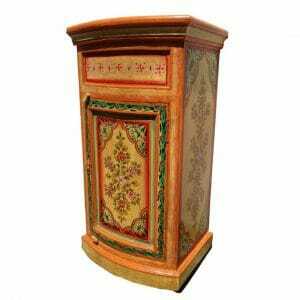 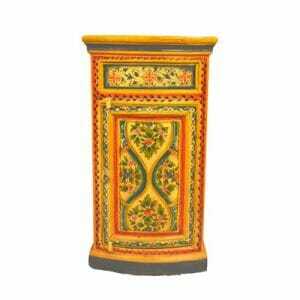 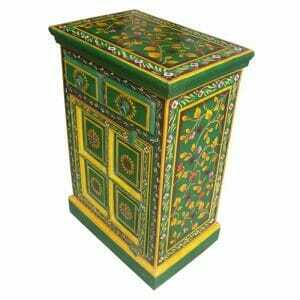 This gorgeous hand-painted Indian green vase wardrobe features a stunning design of vases and flowers with a bright, boldly coloured pattern of green, yellow and red. 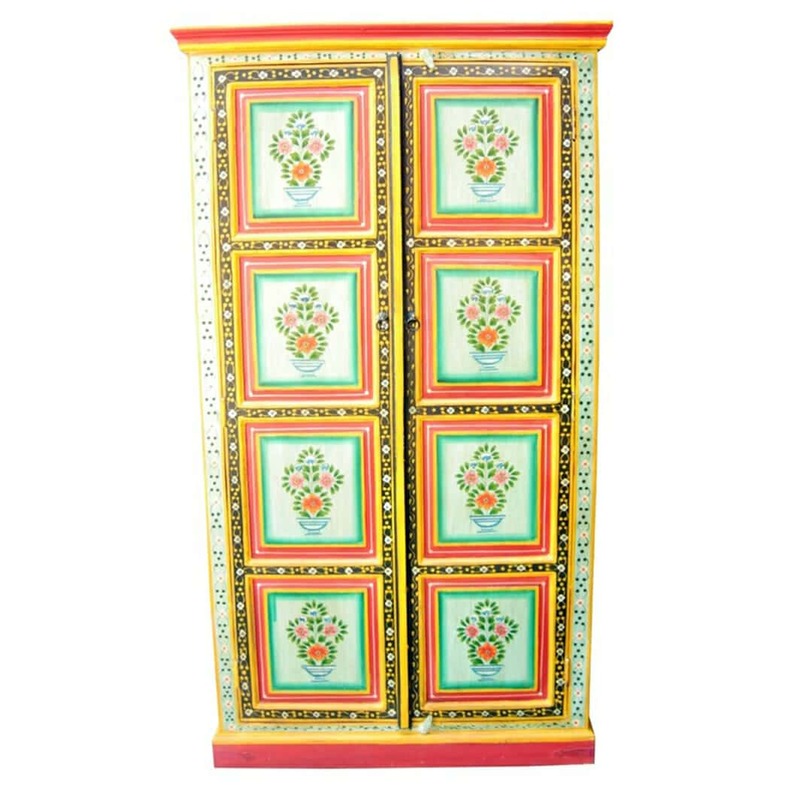 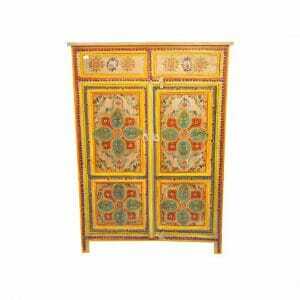 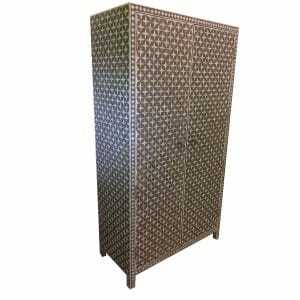 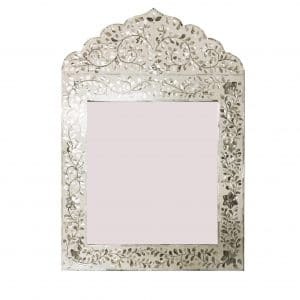 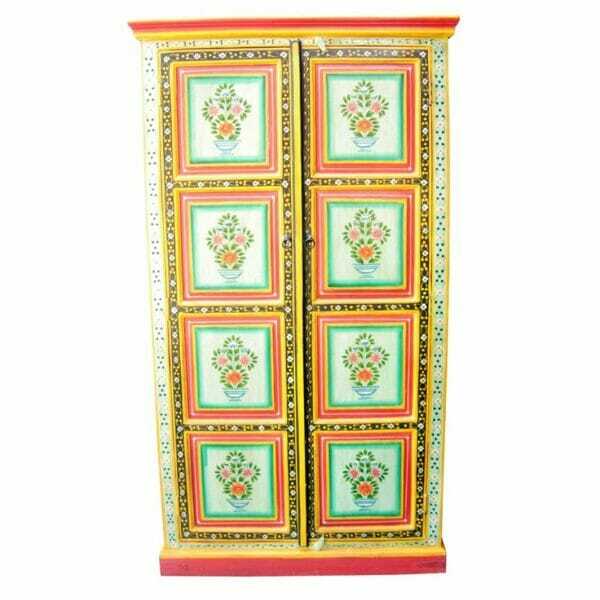 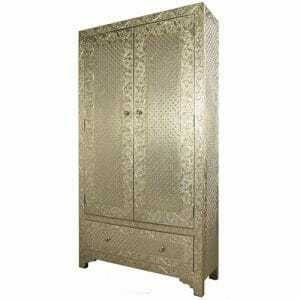 This wardrobe will brighten any bedroom, bringing with it an infusion of the sights and sounds of India. This hand-painted wardrobe features three shelves and a hanging rail, making it an ideal storage solution for your clothing. 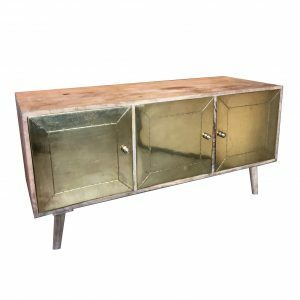 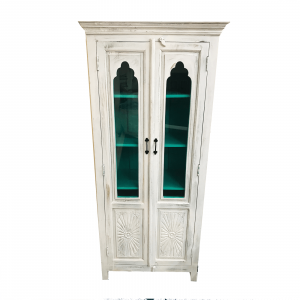 The two full-length doors at front are finished with antique metal ring pulls, and the overall wardrobe has been lightly distressed. 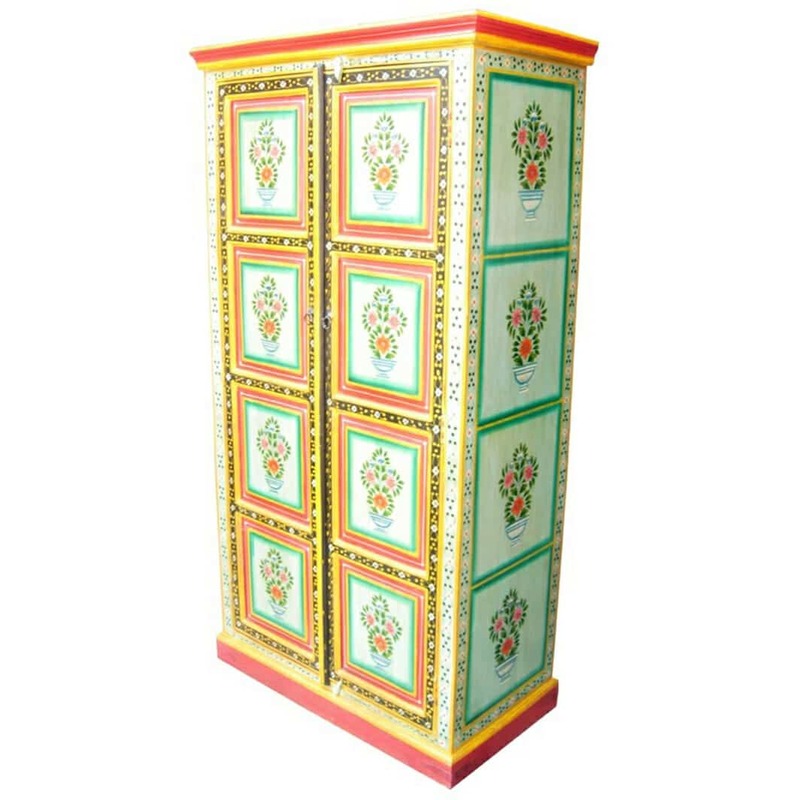 The wardrobe is constructed from Indian Mango and Sheesham wood, all sustainably farmed, making this an environmentally-friendly item that will endure for years. 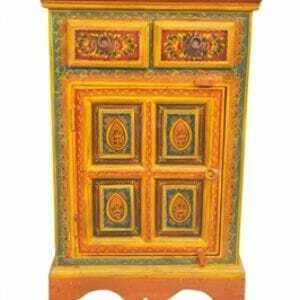 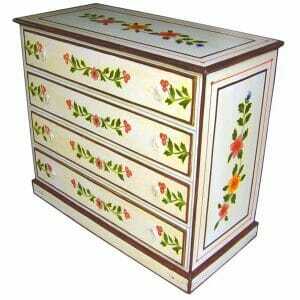 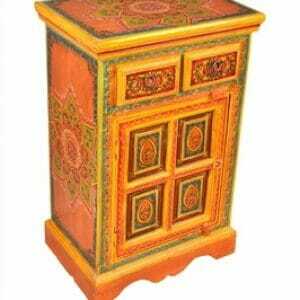 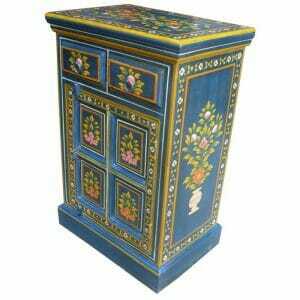 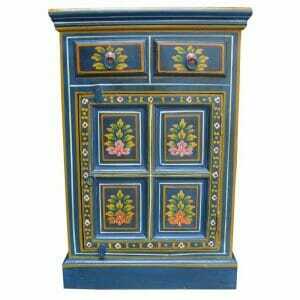 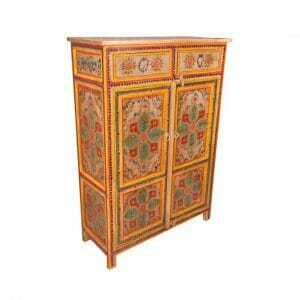 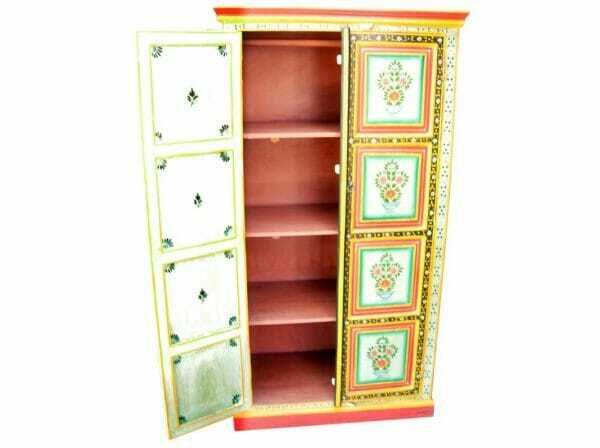 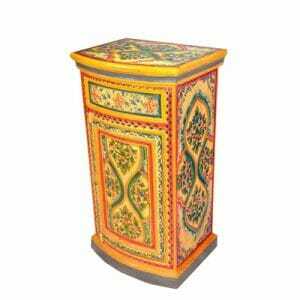 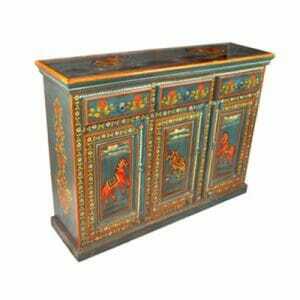 India has claim to a long tradition of hand-painted wooden furniture, the techniques of which have been passed down to our artisan woodworkers over hundreds of years, when the first hand-painted items in this style were created for Indian royalty. 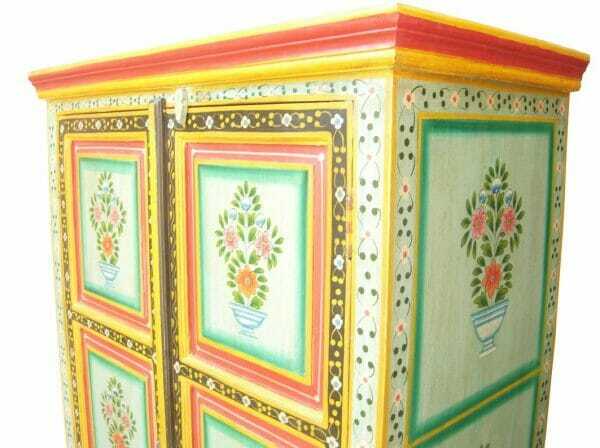 These pieces can still be seen today in the beautiful palaces of Rajasthan. 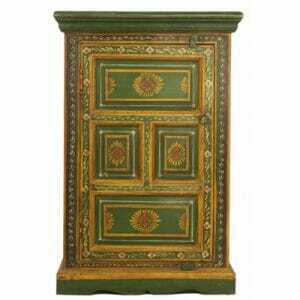 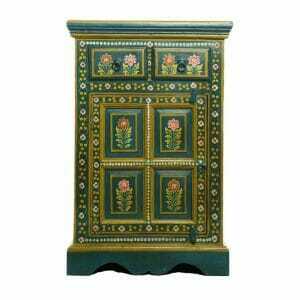 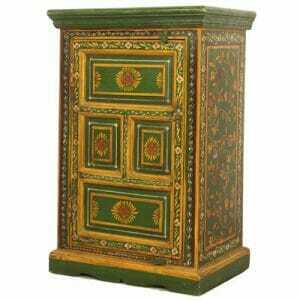 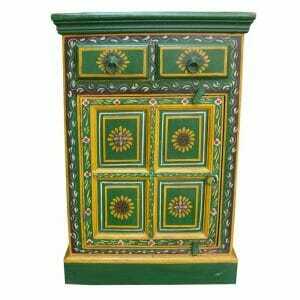 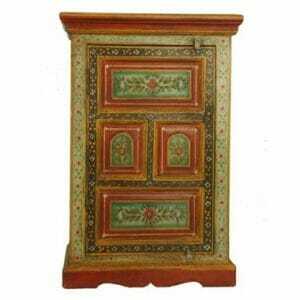 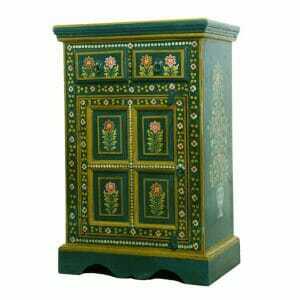 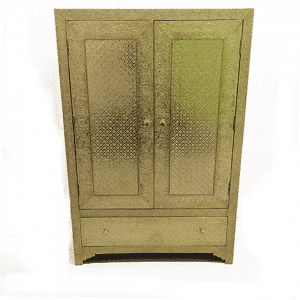 This wonderful, hand-painted green vase wardrobe is but one of our many hand-painted furniture pieces we import directly from India. 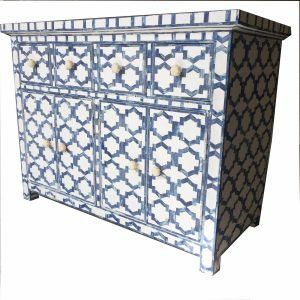 If you cannot find the exact design that you would like, or if you need a piece in specific dimensions, do not hesitate to contact us. 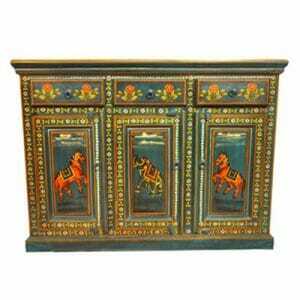 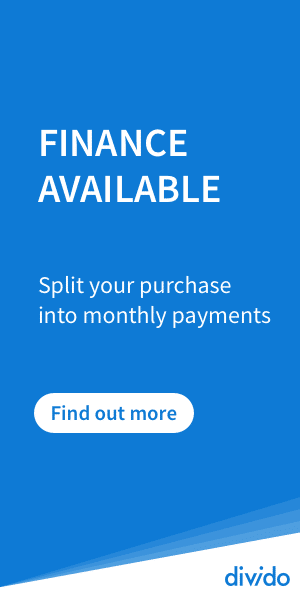 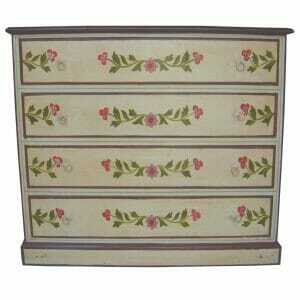 We are always happy to draw up a custom order, and will quickly get back to you with a free quote. 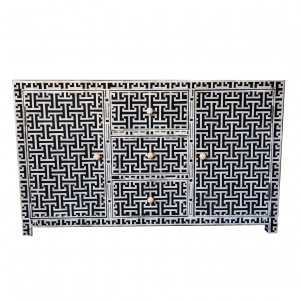 We are especially proud of our commitment to ethical trading. 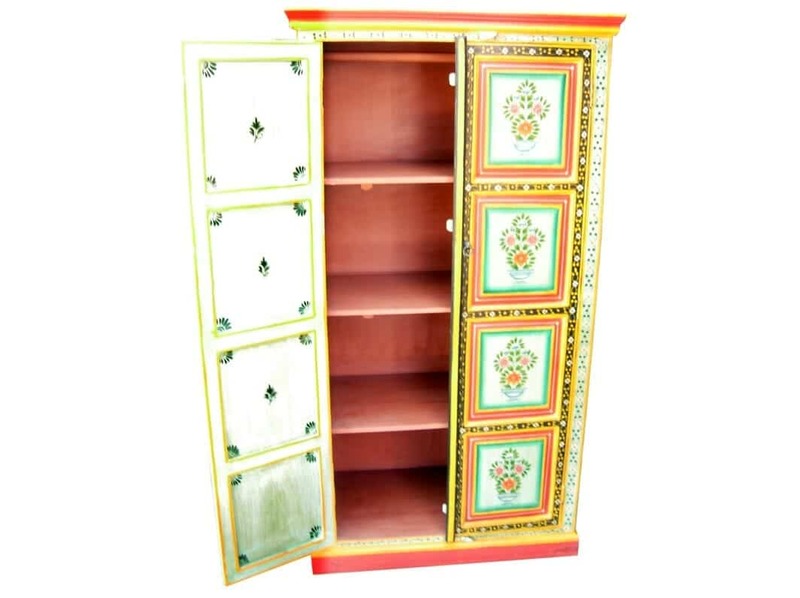 We visit our suppliers and artisan craftsmen in the Rajasthan region regularly throughout the year to guarantee the fair trade conditions are being met and ensure for ourselves that all raw materials are of the highest quality and sustainably resourced.